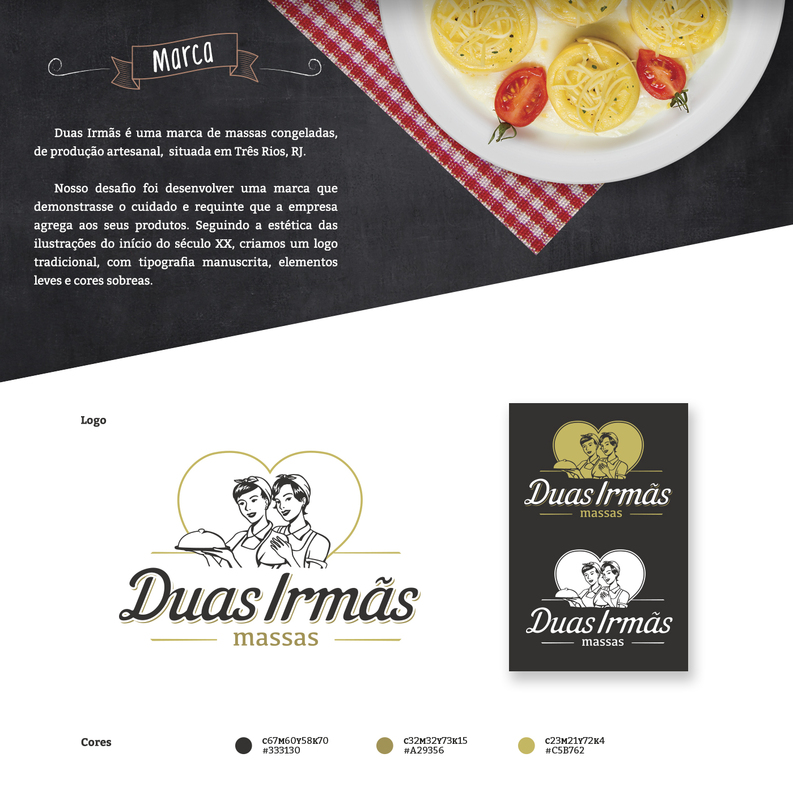 The frozen pasta packaging design was commissioned by Duas Irmãs (Two Sisters), a handmade brand of frozen pasta, based in the northern region of Rio de Janeiro state, in Brazil. 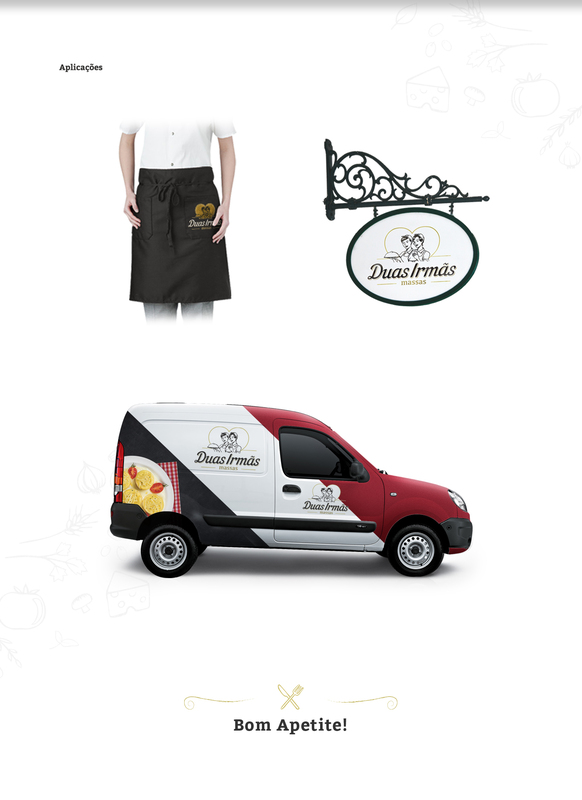 Our challenge was to develop a brand image combining both the care and refinement the company adds to its products. 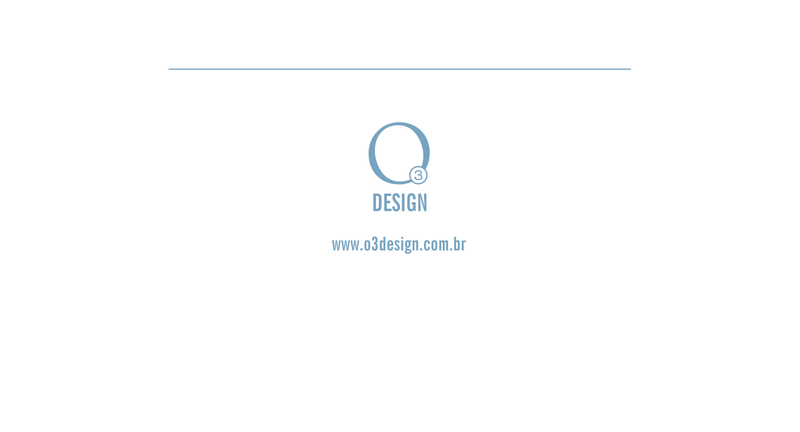 Based on aesthetics related to vintage illustrations, we created a traditional logo, with handwritten typography, light elements and impacting colors. 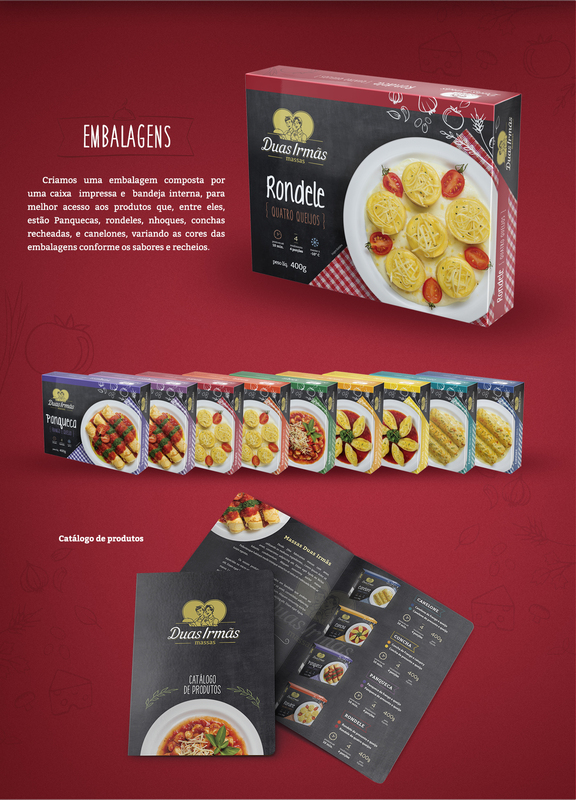 The frozen pasta packaging design uses visual elements with rustic homely features, such as the checkered tablecloth, the blackboard and calligraphic typography. The colors of each box vary according to the flavors and fillings of the pasta. The pasta line is comprised of rondelli, cannelloni, pancakes, gnocchi and stuffed conchiglioni. The frozen pasta is packaged in cardboard trays put inside boxes. The cardboard boxes are printed in offset and plastic laminated to protect them from moisture. The boxes are printed with high quality images of the products, attracting consumers attention, creating a reliable image of trust and quality.